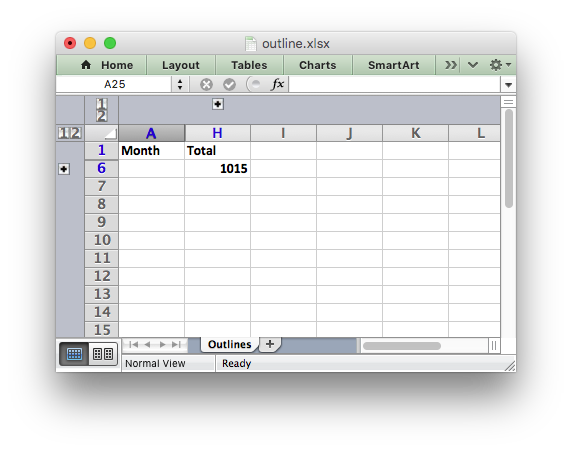 Excel allows you to group rows or columns so that they can be hidden or displayed with a single mouse click. This feature is referred to as Outlines and Grouping. 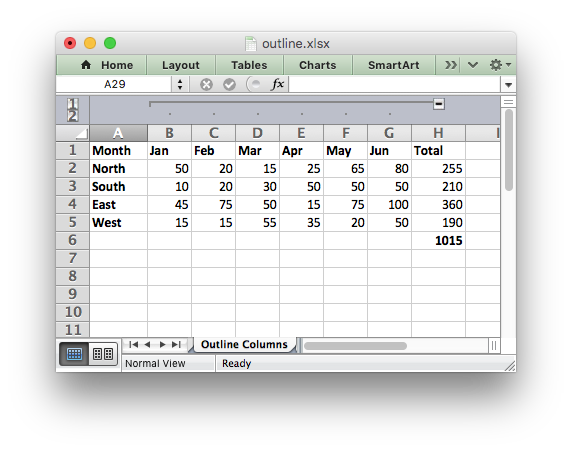 Outlines can reduce complex data down to a few salient sub-totals or summaries. For example the following is a worksheet with three outlines. Rows 2 to 11 are grouped at level 1 and rows 2 to 5 and 7 to 10 are grouped at level 2. The lines at the left hand side are called "outline level" bars and the level is shown by the small numeral above the outline. 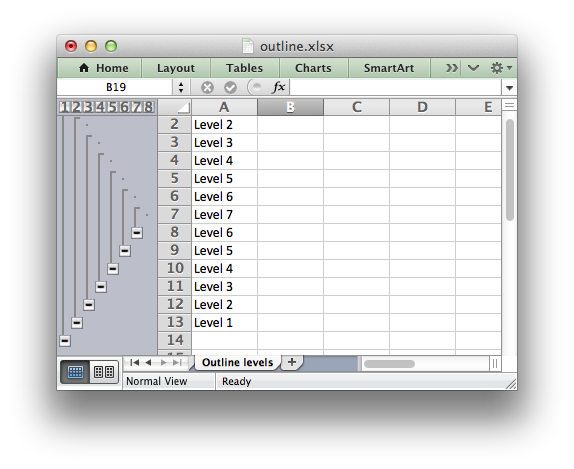 Clicking the minus sign on each of the level 2 outlines will collapse and hide the data as shown below. 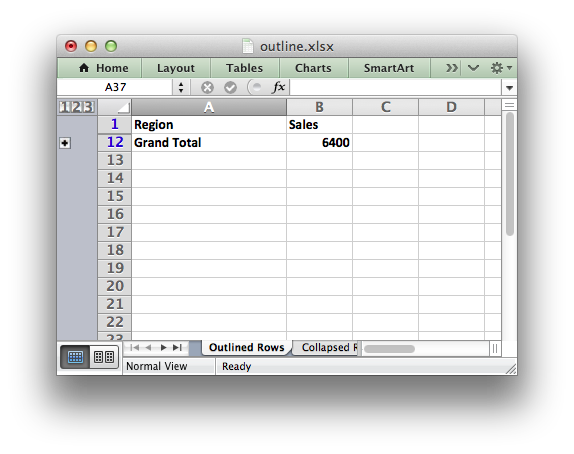 The minus sign changes to a plus sign to indicate that the data in the outline is hidden. This shows the usefulness of outlines: with 2 mouse clicks we have reduced the amount of visual data down to 2 sub-totals and a master total. 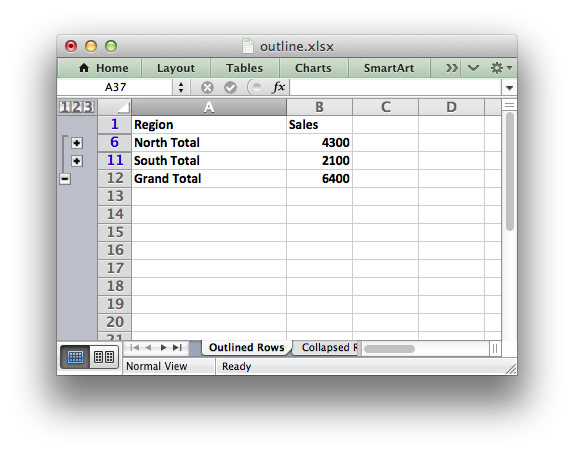 Adjacent row or columns with the same outline level are grouped together into a single outline. // The option structs with the outline level set. 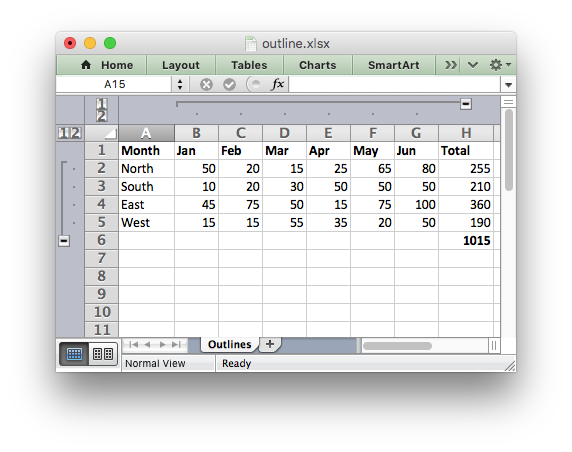 // Set the row options with the outline level. 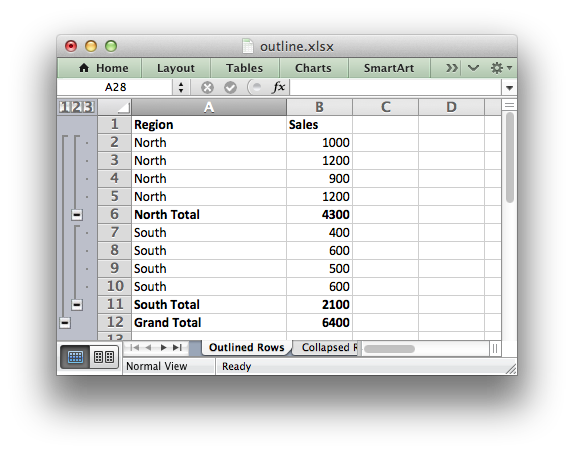 Excel allows up to 7 outline levels. Therefore the level parameter should be in the range 0 <= level <= 7. Some additional outline properties can be set via the worksheet_outline_settings() worksheet function.